Hailey's Hope Foundation | World Prematurity Day is November 17th! World Prematurity Day is November 17th! It’s a special day when people around the world join together to increase awareness of the complications of premature birth and the challenges that families face. Premature birth is a very serious health problem. Each year around the world, 15 million babies are born prematurely, and the consequences can be devastating and lifelong. It is the leading killer of newborns worldwide–more newborns die from premature birth than from any other cause. For babies who survive, they are at a greater risk for serious health problems, such as intellectual disabilities, cerebral palsy, breathing and digestive problems, hearing loss, etc. Many will require specialized care and spend weeks or months hospitalized in the Neonatal Intensive Care Unit (NICU). Sadly, more than 1 million babies born prematurely won’t make it to their first birthday. Having a premature baby in the NICU poses incredible challenges for families—emotionally, physically and financially. It is one of the most overwhelming and stressful times in their lives. Parents are scared, feel alone and helpless as they watch their baby struggle to survive. The marathon of hospital visits takes a significant toll on their families. Daily costs of NICU care and taking time off from work can quickly become a financial drain with long hospitalizations. For babies, they need access to the best care possible to give them a fighting chance in life. We strive to alleviate this stress for families and improve the health outcomes of their NICU babies. By empowering parents with financial, emotional and informational support and supporting family-centered care initiatives , we help families cope with their difficult NICU journeys and give NICU babies a greater fighting chance. 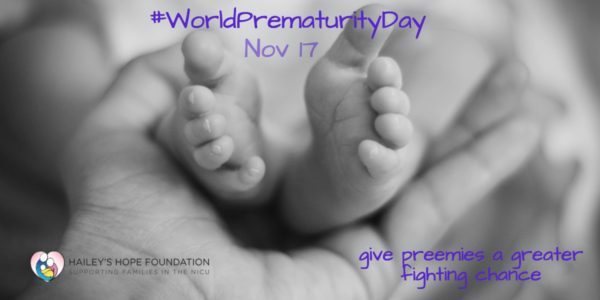 “Like” Us on Facebook and tell us who you would like to honor on World Prematurity Day. “Follow” Us on Twitter at @HaileysHopeFDN. Share Your Story and photos on our website at haileyshopefoundation.org to honor your preemie and to show the many NICU families that will follow in your footsteps that they are not alone. 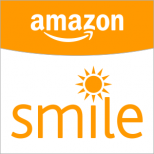 Make a donation to Hailey’s Hope Foundation to support the needs of NICU families or to simply honor a preemie. THANK YOU FOR MAKING A DIFFERENCE IN A PREEMIE’S LIFE!